While the use of hybrid networks under the control of flexible and secure network management will mitigate this issue, innovative applications of the Global Broadcast System can address it today without significant additional expense. The Global Broadcast Service (GBS) is part of the Wideband Global SATCOM (WGS) satellite communications system, allowing authorized users to access high speed data downloads for crucial operations. It is a one-way service (receive only) that provides advantages to users as a supplement to standard two-way systems. GBS was first deployed in 2001 to support Operation Enduring Freedom using UHF Follow-On satellites and currently operates over the WGS constellation, of which there are currently nine satellites in Geosynchronous Orbit (GEO), with the 10th satellite scheduled to launch in March of 2019. The latest WGS satellites offers 4.875 GHz of instantaneous switchable bandwidth, which provides capacity ranging from 2.1 Gbps to more than 3.6 Gbps to tactical users, depending on the mix of ground terminals, data rates and modulation schemes employed. WGS provides 19 independent coverage areas that can be used throughout each satellite’s field of view to serve warfighters between 65 degrees North and South latitude. Users are serviced via eight steerable / shapeable X-band beams formed by separate transmit and receive phased arrays; 10 steerable Ka-band beams served by independently steerable, diplexed (the transmission of two simultaneous messages over one wire in the same direction), gimbaled dish antennas, including three with selectable polarization; and one X-band Earth coverage beam. GBS’ one-way, wideband service is capable of near real-time classified and unclassified data and video transmission to support critical missions and is based on commercial satellite broadcast technology such as is used by Direct-To-Home (DTH) satellite TV providers. This readily available, commercial technology was relatively inexpensive, easily integrated into existing systems and processes and allowed for terminals that are usable by smaller and more mobile units. GBS uses two Satellite Broadcast Managers (SBM), co-located with Defense Information Systems Agency (DISA) computing centers, to broadcast IP-based, real-time video and large data files to garrisoned and deployed forces using net-centric prioritized delivery. SBMs are the primary broadcast content sites. Under the overall management of the GBS Operations Center, the SBMs transmit data through the Department of Defense (DoD)teleport infrastructure (fixed or theater-based) that allows reception to multiple simultaneous receivers. This saves considerable bandwidth resources and allows ground terminal (or “Receive Suite”) operators to quickly download mission data. 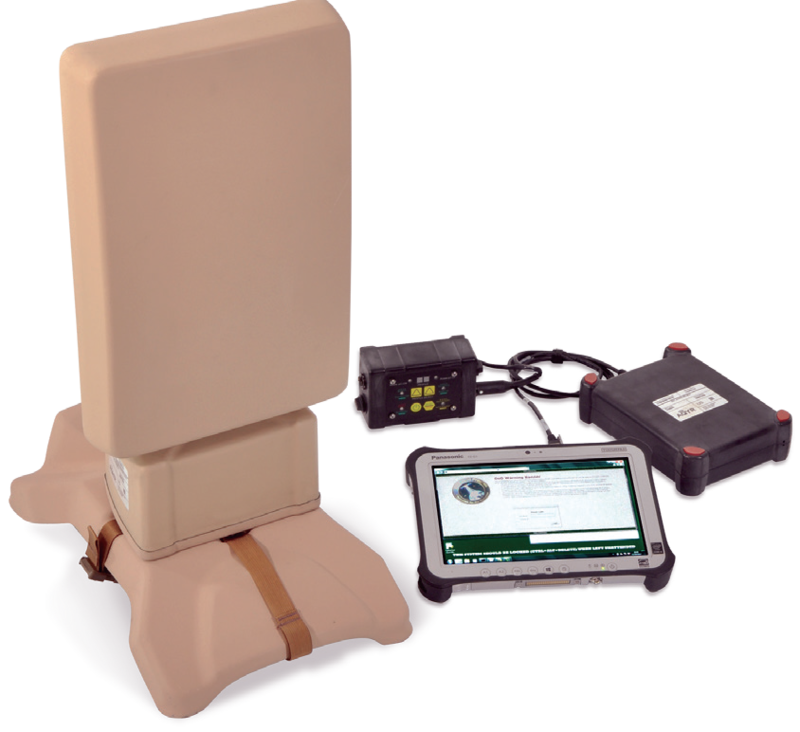 GBS provides service to 2,000+ “Receive Suites” deployed world-wide at U.S. Army, Marine, Navy, Air Force ground sites, shipboard and subsurface platforms and at NORTHCOM-sponsored homeland defense organizations worldwide. Any DoD customer with a need for data can request access to the Global Broadcast Service. For ground users, the three terminals that allow access are the AN/TSR-11, AN/PRS-11, and AN/PRS-12. The TSR-11 is a large “transportable” terminal, while the PRS-11 and PRS-12 (pictured on the next page) are suitcase or rucksack portable. A user can access either the classified or unclassified side of the broadcast, depending on their mission needs, and can request access to feeds and/or request specific mission data online through the SBM portal. The GBS is a critical element of the DoD’s Intelligence, Surveillance, and Reconnaissance (ISR) capability and, though it’s primary focus has been to transmit Full Motion Video (FMV) from Unmanned Aircraft Systems (UAS) to tactically deployed forces, it has considerable value for all types of data needed by the warfighter in a deployed or garrison environment. The flexible, secure infrastructure that supports the core ISR mission can be repurposed to support a broader concept of operations. There are many misconceptions concerning GBS’ utility that have limited its use as a bandwidth augmentation capability. 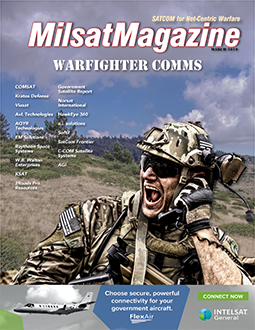 One capability that is slowly gaining traction is to provide high speed data downloads in conjunction with a deployed unit’s organic, two-way, SATCOM systems. While typical two-way systems are constrained due to bandwidth limitations and download speeds, GBS systems can provide consistent, high-speed download of secure and non-secure data. Think of GBS as a military version of a DTH service — such as DirecTV or Dish Network — where one subscribes to a channel and sets the tuner to that channel for reception of the information being transmitted. In this case, however, the user is receiving classified (or unclassified) data essential to fulfill the mission or support the force. 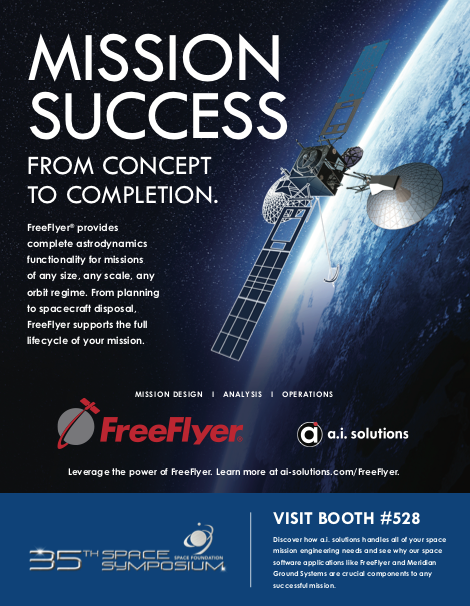 With the congestion on military networks and the delay (and expense) of integrating commercial satellite resources, it is vital to find a way to offload some of the mission data to an available, less expensive alternative. GBS’ typical broadcasts of FMV, digital maps biometric data or satellite imagery represent only a portion of the system’s capability; also allowed are high speed downloads of data transfers. This type of communication between a command and their deployed units, or between multiple deployed units, requires large amounts of bandwidth that may not be available using traditional means. With a single transmission on the GBS, this data can be broadcast simultaneously to all units that are authorized to receive the transmission, saving considerable time and bandwidth costs. Transfers for data, such as software updates, security patches or other large files, could occur in a timely, low cost fashion using an existing, supported infrastructure. Although a one-way system can never replace a bi-directional communications link, it can assist in reducing the strain on already congested networks and do so with a minimal electromagnetic signature. The DoD is currently considering numerous programs to modernize the network to make it more expeditionary, resilient, and effective. The GBS provides a cost-effective way of supporting those goals without significant incremental expenditures. As the DoD moves into a new era of hybrid SATCOM networks, the innovate use of GBS should be considered as a key element of a holistic solution. 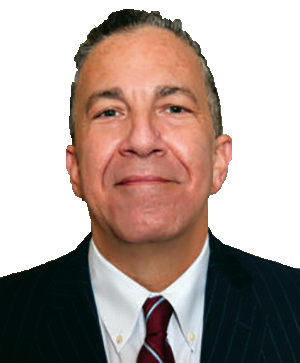 Mr. D’Alessandro is President and Chief Executive Officer of Windmill International Inc. and the President of its wholly owned subsidiary, AQYR Technologies, Inc. He is involved in all aspects of managing Windmill’s operations and workforce, leading efforts to set the firm’s business goals and growth strategy, build value for employee owners, and provide superior, cost-effective solutions to clients. Mr. D’Alessandro became Windmill’s CEO on March 5, 2018. Prior to Windmill, he spent 31 years at Harris Corporation (NYSE: HRS), where he held several senior leadership roles including VP, Global Business Development and President of Harris’ Critical Networks segment. At Critical Networks, Mr. D’Alessandro built a unified leadership team, integrated legacy businesses and processes, and managed a >6,000-person global employee base. During his tenure, Critical Networks achieved record award fee performance and secured several contract re-competes and extensions worth >$2B.